The interim superintendent of Prince George's County schools is stepping down following the county executive's school system takeover. Alvin Crawley submitted his resignation Thursday, according to the county Board of Education. It is effective June 3. The General Assembly approved legislation this month that allows County Executive Rushern Baker to appoint the schools superintendent. Crawley had already withdrawn his name from consideration for the permanent job. Under the legislation, a three-person panel including the state superintendent will interview candidates for superintendent and submit three finalists to Baker. The county executive will then decide which person to hire. County school board members said in a joint statement that they understand Crawley's decision to resign, given the circumstances. The county's previous superintendent, William Hite, left to lead Philadelphia schools. 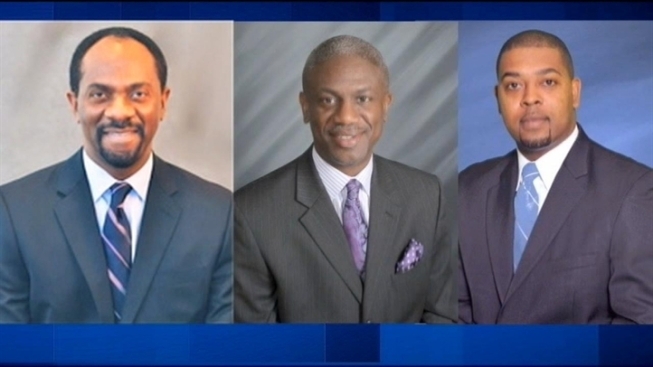 Over the past school year, the Prince Georges County Public School System has been in transition of leadership. I respect Dr. Crawley and appreciate his work here; we wish him well in his future endeavors. I will work with the Board of Education to ensure a smooth transition and offer my top staff and the rest of County Government to assist in any way possible. I want to ensure the parents, students, teachers and employees of Prince Georges County that I am dedicated to finding the best new leader for our public school system. Since signed into law, my administration has worked diligently on the new Board of Education appointment process and CEO selection process in concert with the Office of the Governor and State Superintendent. I have said time and time again, the focus of education in Prince Georges County should be on our students. I believe our new structure will attract and retain a very talented CEO. My administration will work with the Board of Education and all stakeholders including parents, students and employees throughout this process. I expect the Board of Education and the current school system leadership to enact the new structure of HB 1107 on June 1, 2013, successfully conclude the 2012-2013 school year, and work hard over the summer to be prepared for a productive 2013-2014 school year.